If you are looking for a perfect holiday purchase or a present that is unusual, slightly flashy and festive, a holiday tie is one of the best-suited, fun picks to either try or gift this season. Moving ahead from the usual blinking lights, and other neck bracing fun accessories, these 10 ties will add the extra edge and personality to your Christmas fun. 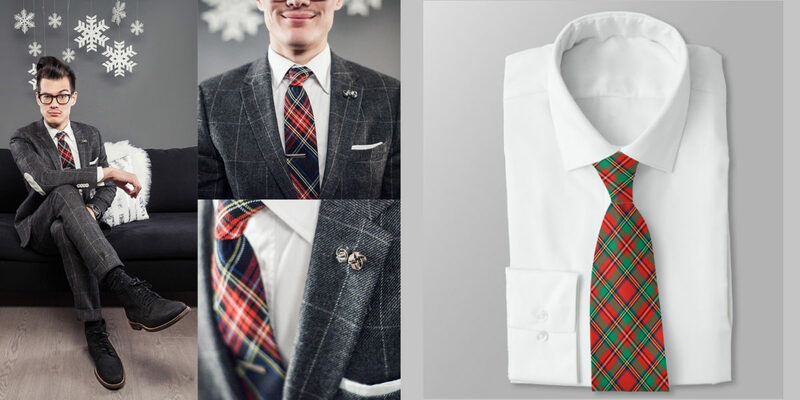 If you are looking for an accessory to turn around the look of the regular shirt, this Christmas plaid tie in red and green will definitely make you stand out in the family gathering. If you, your family member or your friend loves Christmas ornaments, this ornament tie in the beautiful burgundy shade is perfect for the Fall and Christmas. The tie is also available in black if burgundy is not your cup of tea. 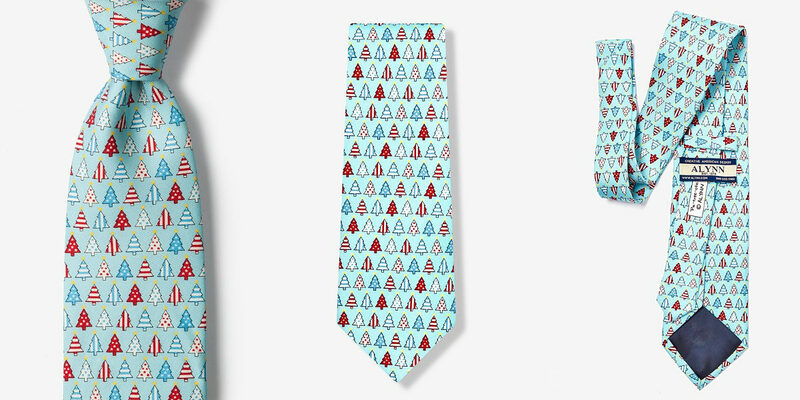 This snowman tie says it all! 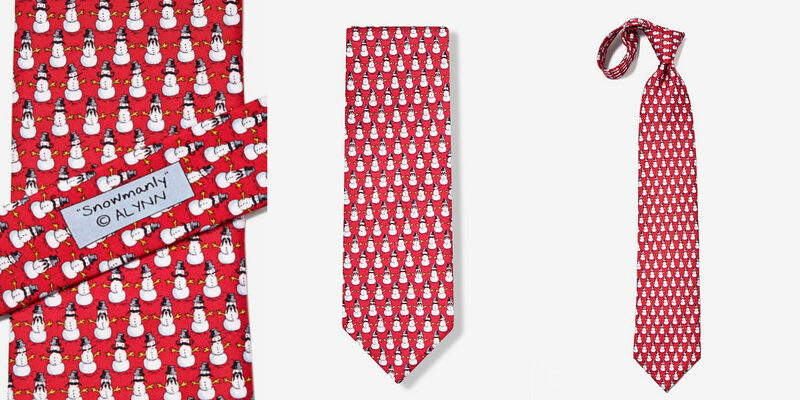 Show your snowy side this holiday with this 100% silk necktie featuring white snowmen motifs all over. If you look closely the snowmen come with hilarious moustaches that will definitely give a quirky and humourous turnaround to the holiday outfit this season. Stars don’t just have to be on top of your Christmas tree, they can be around your neck too. Seasonal and classy, you can probably wear the tie throughout the year with several outfits. This candy cane tie in 100% silk features a navy blue background with a whimsical, multicoloured holiday candy cane pattern. 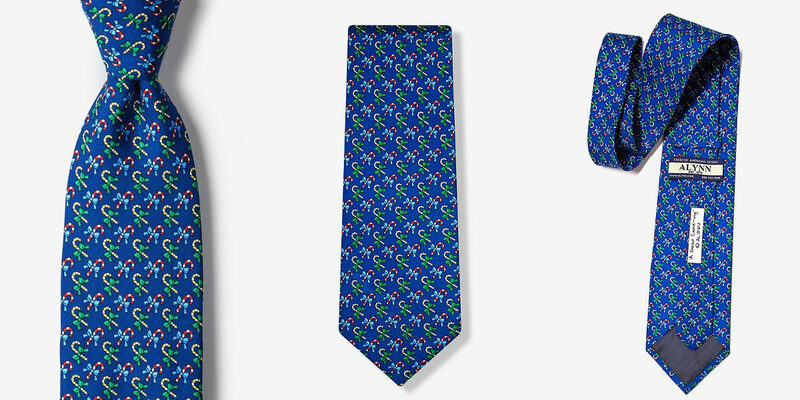 The tie with its beautiful colour and a scrumptious pattern is a cute and festive pick for the holidays. 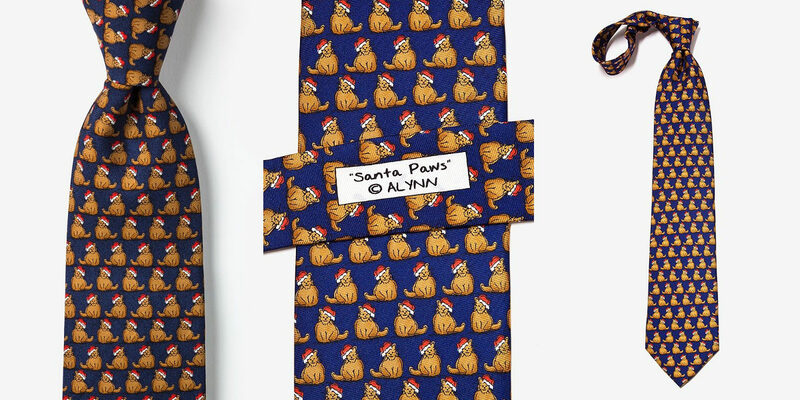 Ideal for our cat lovers out there, this tie features the adorable creature with Santa’s hat. The 100% silk necktie from Alynn neckwear comes with the appropriate print to help you cuddle up and feel festive for the holidays. 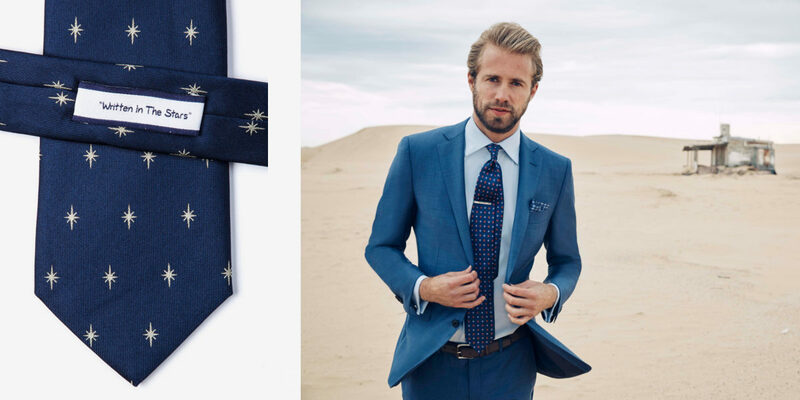 This 100% silk tie features lovely patriotic Christmas tree in stars and stripes. Go ahead and proclaim your love for country and your favourite holiday in this beautiful colour and design. 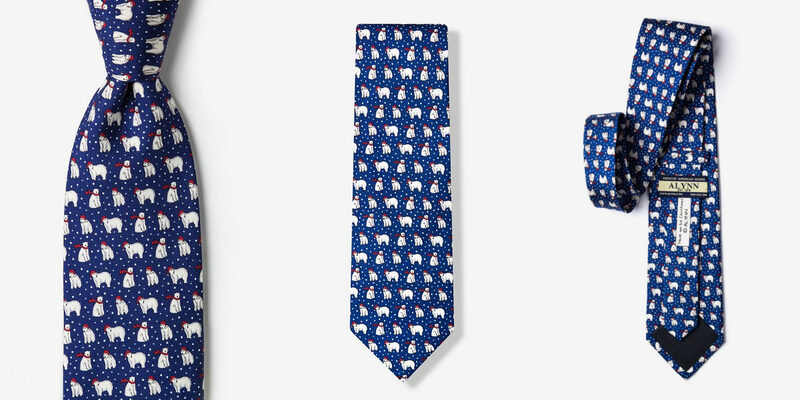 The tie will take you on a trip to North pole with white holiday polar bears distributed evenly on navy blue background. The pattern is cute and festive with the polar bears wearing red Santa hats and scarves amidst a snowy blizzard. 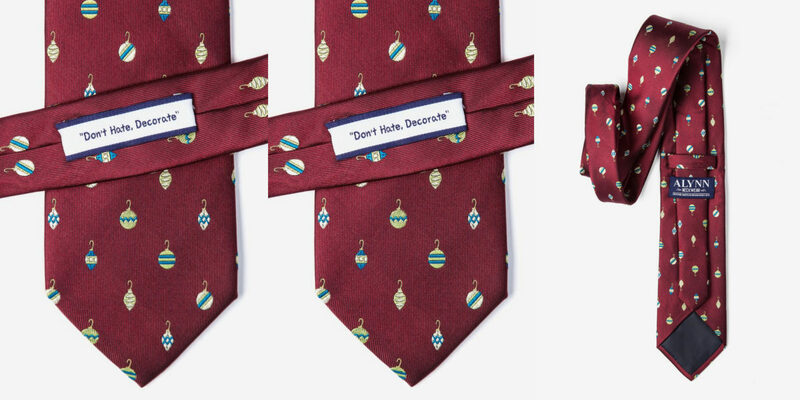 The tie can be a timeless addition to your holiday collection. 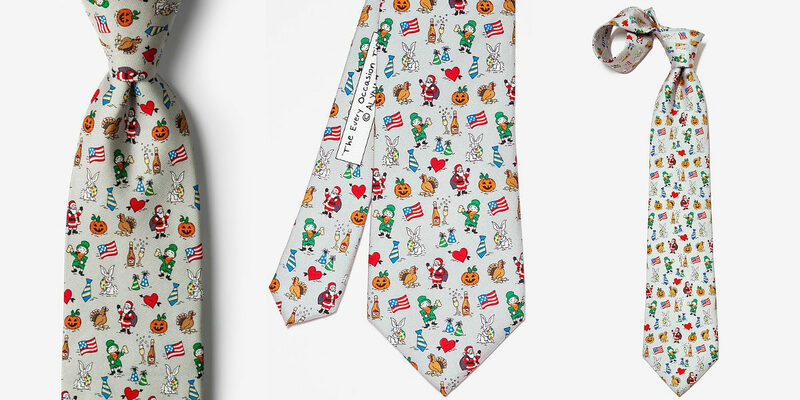 This Santa’s day off tie features varied fun motifs and activities that Santa would do probably with his Mrs.
Every occasion tie is an all in one festival piece, which you can easily wear during Halloween, Christmas, Thanksgiving, Easter and even Valentine’s Day! In 100% silk, it is definitely versatility at its best. 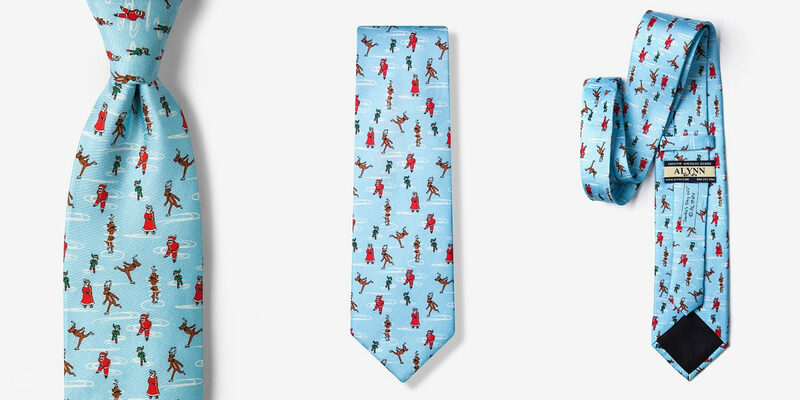 Pick the perfect tie for your dad, cousin or uncle and let the Christmas magic shine all throughout the year.